Last summer, Warner. Bros and director Zack Snyder announced that they had hired Ben Affleck to star opposite Henry Cavill in the untitled Man of Steel sequel known as Batman vs. Superman, and ever since then we’ve been waiting and begging to catch even the slightest glimpse at what we can expect from the latest big screen version of the Caped Crusader. Yesterday we saw the director release a brilliant little tease of the Batmobile and a promise of more to come, and now that promise has been fulfilled and both the literal and metaphorical tarp has been removed. Feast your eyes on our first look at both the new Batman and his brand new ride (click the image above to see it in super high-res). 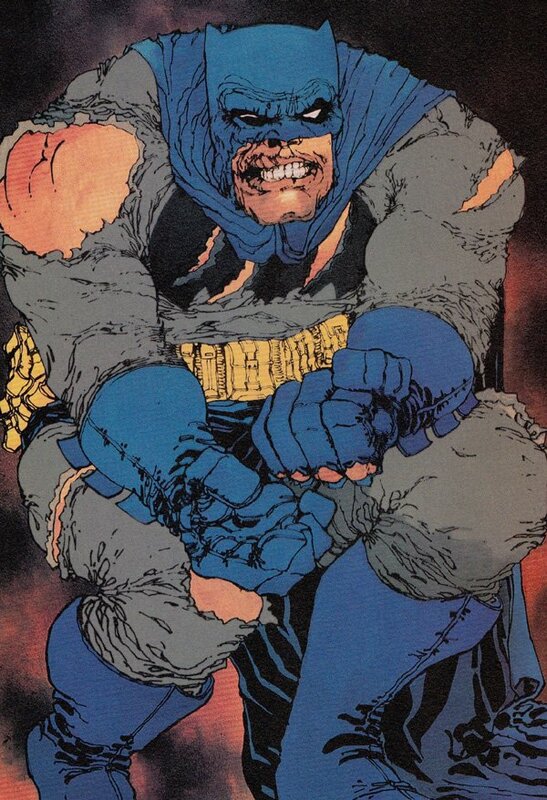 Ever since Batman vs. Superman was announced at San Diego Comic-Con last year, we've been making connections between it and Frank Miller's work, thanks to the fact that the movie will introduce a "tired and weary and seasoned" Batman who apparently has a bone to pick with the Man of Steel (not to mention the fact that the official announcement was made with an actual quote from The Dark Knight Returns). This image confirms a certain connection on an aesthetic level - now we'll just have to wait and see if it comes out in the story as well. 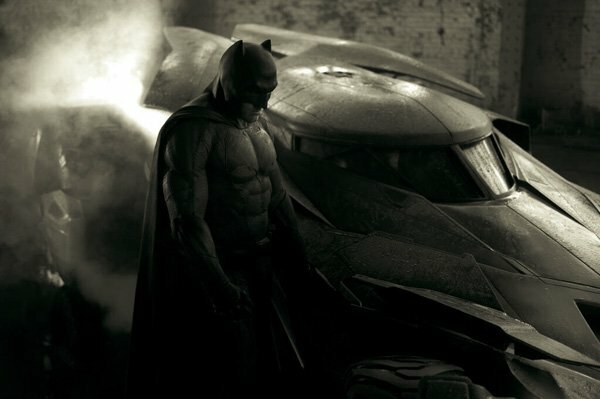 As we expected, this image also gives us our first real look at Batman vs. Superman's Batmobile, and while it is a bit obscured by dust and shadows, it does look pretty badass. You can definitely see that The Tumbler from the Dark Knight Trilogy has continued to have an influence, but at the same time this version looks a lot smoother and more stylish. I can't wait to see it in action. What do you think of this big Batman vs. Superman reveal? Do you like the look of the costume? Do you think the Batmobile looks cool? Let us know what you think in the comments below.